“Jammin’ on the One” is the most influential moment in hip-hop history. The Most Influential Moment in Hip-Hop History? Still from The Cosby Show. Stevie Wonder’s influence on popular music extends far beyond the many genres he himself has worked in, namely soul, funk, pop, and R&B. You could write a whole article just about his influence on Detroit techno—in fact, one such article is coming soon to a Wonder Week near you. Heck, he even changed our nation’s calendar. But when you’re a musical giant, even your smallest moves can shake the Earth, and in an unlikely turn of events, Stevie Wonder’s single most far-reaching gesture may have been his cheesy cameo on The Cosby Show. Don’t take it from me. Take it from one of hip-hop’s greatest historians, Questlove from the Roots. In his book Mo’ Meta Blues, Questlove declares Season 2, Episode 18 of The Cosby Show “the single most influential moment in the history of hip-hop.” The premise of the episode, “A Touch of Wonder,” is as improbable as its outsize influence. 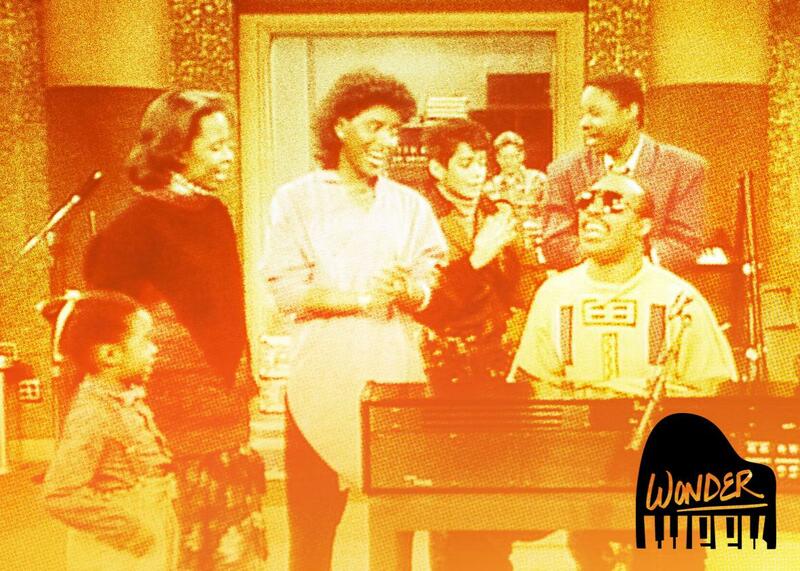 Denise and Theo get into a fender-bender with another car that just happens to be Stevie Wonder’s limo, and instead of going through the usual formalities of exchanging insurance information, Wonder decides to smooth things over by inviting them into the studio. Simple: it was the first time that 99 percent of us who went on to be hip-hop producers saw what a sampler was. Go look at the episode, you can find it on YouTube or Netflix. At one point Theo says “jammin’ on the one,” and before you knew it, Stevie Wonder had sampled it and inserted it into a song. It’s not an exaggeration to say that this episode was the incident that truly sucked me into hip-hop production. It was the first time I saw anything like that, and I’ve surveyed the rest. It was the first time J Dilla saw a sampler. It was the first time Just Blaze saw a sampler. There wasn’t a sense yet that it was truly revolutionary, in the critical sense, that it would explode old ideas of structure, sign, and play. At that point, it was just something cool on a sitcom, and in response to it, in awe of it, an entire generation of talented, ambitious black kids leaned forward in their chairs to the point of falling out. When I first read Questlove’s theory, I was skeptical. After all, this episode first aired in 1986, years after pioneering hip-hop tracks such as 1979’s “Rapper’s Delight” and 1982’s one-two punch of “The Message” and “Planet Rock.” Just a few months after Theo Huxtable inexplicably told Wonder that “jammin’ in on the one” is something he would say at a party, Run–DMC would release their take on “Walk This Way” with Aerosmith and become hip-hop’s first superstars. And the sampler, too, wasn’t an entirely new instrument. Stevie Wonder himself was perhaps the first artist to make extensive use of a sampler on record, using the primitive Computer Music Melodian on his 1979 soundtrack to the New Age–y documentary The Secret Life of Plants. Around the time of that album’s release, a more advanced sampler came on the market, the Fairlight CMI, and Wonder, always with an ear out for the next thing, was among the first to purchase one of those, too, bringing it on tour with him in support of the album. But these early samplers were prohibitively expensive. The Fairlight cost tens of thousands of dollars. Wonder, Paul McCartney, and Peter Gabriel bought them; up-and-coming hip-hop artists and producers did not. Instead, DJs such as Kool Herc had invented their own cruder methods for looping instrumental breaks, while for hits such as “Rapper’s Delight,” producers hired studio musicians to re-create the sounds of older records. And this is why the timing of “Jammin’ on the One” was fortuitous. Not only did a new generation of aspiring hip-hop soundmakers see a sampler in action for the first time; the year after the episode aired, new samplers, such as the E-mu SP-1200, finally became affordable to people who weren’t megastars. Wonder’s influence on hip-hop would, of course, continue in other ways. To listen to ’90s hip-hop often means listening to records that borrow wholesale from Stevie: Coolio’s chart-topping “Gangsta’s Paradise,” for example, takes both its beat and its hook from Wonder’s “Pastime Paradise,” while the next hip-hop hit to ride a movie soundrack to No. 1, Will Smith’s “Wild Wild West,” was built on a sample of Wonder’s “I Wish,” adding little more than Smith’s verses plugging his steampunk wannabe-blockbuster. Still, no matter how many hip-hop hits lift from Wonder, the most important Stevie Wonder samples will always remain the ones he lifted from the Huxtables. The next time you’re listening to The Blueprint or J. Dilla’s Donuts, take a moment to thank Denise and Theo for skidding their car into Stevie Wonder’s.